Facebook Share button for Sharing Your Web contents - How to create and add FB share Button to websites? 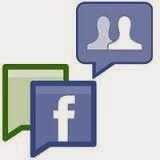 FB Share button is one of the quickest way's for people to share contents online. It allows facebook users to share a web content to Facebook, share with particular friends or with a group. Alternatively, they can share in a private message. On clicking the button, it will ask to login. if you are logged in it will load a popup form with data to be shared once submitted, data will be shared to user friend list and time line. Place the below given code wherever you want the Share button to appear on your page. "YOUR_FACEBOOK_APP_ID" should be replaced by your app Id. you can alter the display of share button by adding changes to the values for the attribute in above tag. How to create and integrate Facebook Like Button to websites?